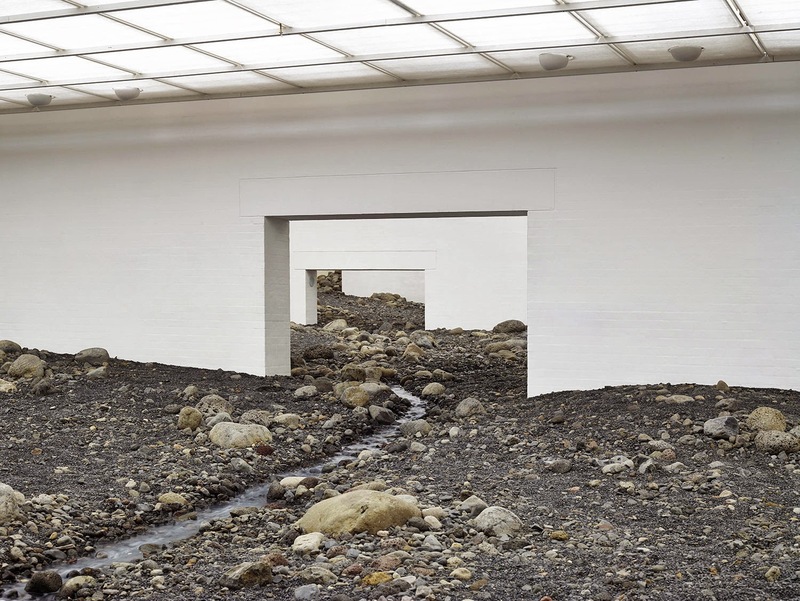 Olafur Eliasson, a Berlin-based artist, created an installation which, at the end, filled the entire gallery of the Louisiana Museum of Modern Art where it's exhibit, in Denmark. 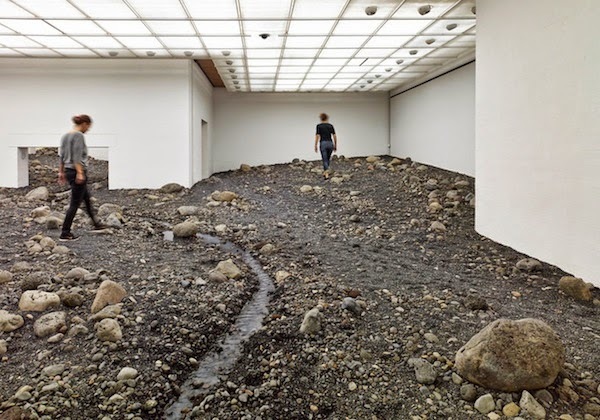 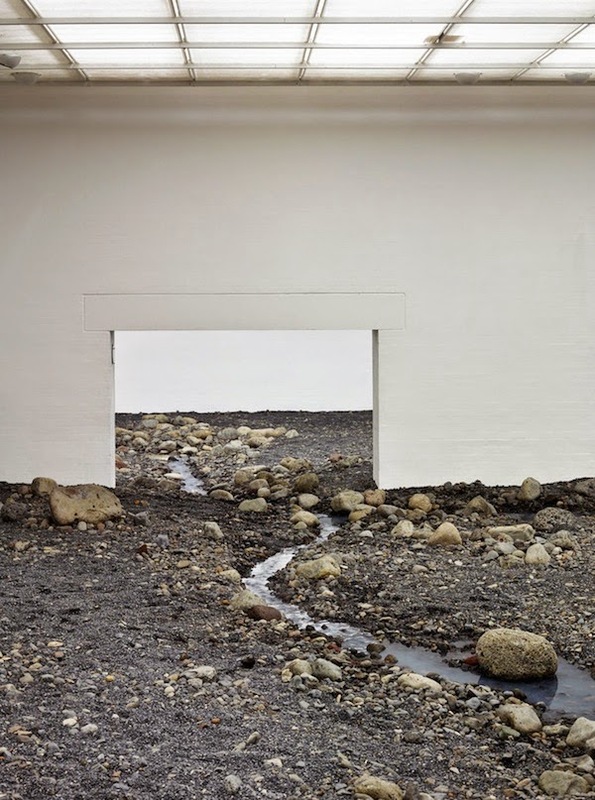 The installation emulates a natural landscape crossed by a river, using natural materials such as stones and soil recalling the mind a Riverbed, as the name of this unbelievable exhibition. 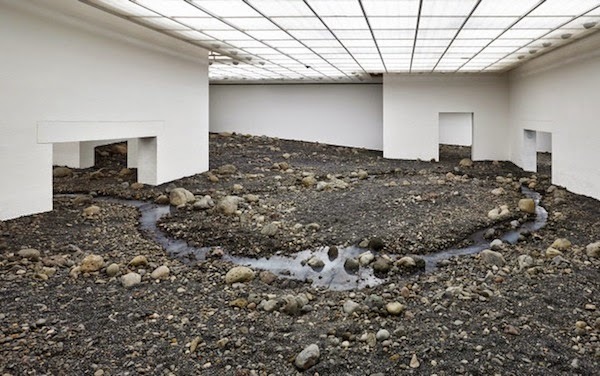 The aim of the artist was not only to make visitors feel completely immersed in the new environment he created, but also to notice the strong difference and contrast between the nature and the exhibition, and the distinctive element of having an outdoor landscape in an indoor space. 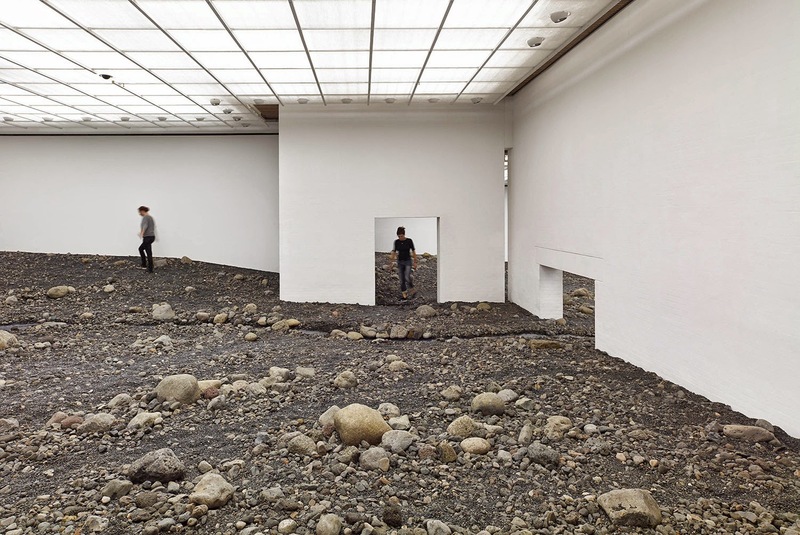 So, if your plans contain a quick trip to Denmark, don't miss to go to the Louisiana Museum of Modern Art...you've time until January 4!